ArtSpan, a non-profit organization committed to cultivating an accessible art community, visited our San Francisco store in October. This was part of their annual SF Open Studios exhibition event, which showcases over 800 emerging and established artists. Guests had the opportunity to meet eight local artists while savoring slices from Casey's Pizza and listening to live jazz music by Gaucho. 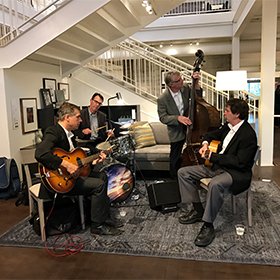 Jazz music from Gaucho filled the store while guests strolled through the featured art. 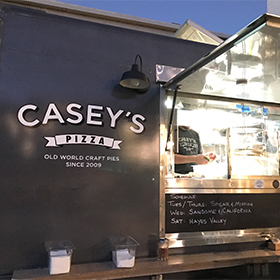 Guests grabbed a savory slice from Casey's pizza truck! Joen Madonna joined ArtSpan staff in 2014 as the Interim Executive Director and has served on the Board since 2013. In addition to regularly attending SF Open Studios as a patron since 1994, Joen has been affiliated with ArtSpan as an artist participant herself in 2003. When did ArtSpan first open its doors? Celebrating it’s 41st anniversary, SF Open Studios is the oldest and largest open studios program in the country. Originally started by a handful of artists in 1975, it grew into the non-profit organization it is today featuring an annual, month-long art event that showcases over 800 emerging and established artists in their studios and offering year-round programming to help support artists and to inspire art appreciation. Why was there a need for ArtSpan in San Francisco? San Francisco needed an organization that is committed to cultivating a vibrant, accessible, and world-class art community and to promoting the city’s unique creative energy locally and globally. We champion an inclusive art experience by providing hundreds of local artists with the equal opportunity to showcase their work and make direct connections to diverse audiences and patrons. We are guided by the belief that artists play a vital role in society and that broad public engagement with their work is essential to defining a new cultural environment for our changing city. What types of programs does ArtSpan provide for the community? We offer SF Open Studios, Youth Open Studios, Artists Professional Development Workshops, Art Mixers, Art Curious, Art-in-Neighborhoods, Public Outreach with Live Art and Community Murals, and our incredibly fun and popular Annual Art Auction which takes place on March 25, 2017. It means so much to me to see artists get the support and appreciation they deserve. Art is an essential component of a vital and vibrant community. It is also incredibly rewarding to see art appreciators be inspired by art & the art making process. There is no better way than visiting artists in their studios to see original art! What's most challenging about your job? It is hard for people to understand that non-profit organizations need constant support. We need donors, members, volunteers, engaged artists and art appreciators and committee members to help up do the city-wide, year-round programming that we do to retain San Francisco’s unique creative culture. Accessible to everybody, everyday, everywhere. At ArtSpan we strive to make art a daily experience of everyone’s life. How can people get involved with ArtSpan? By visiting artists in their studios and at community HUB locations and buying original work made by our hard-working local artists. 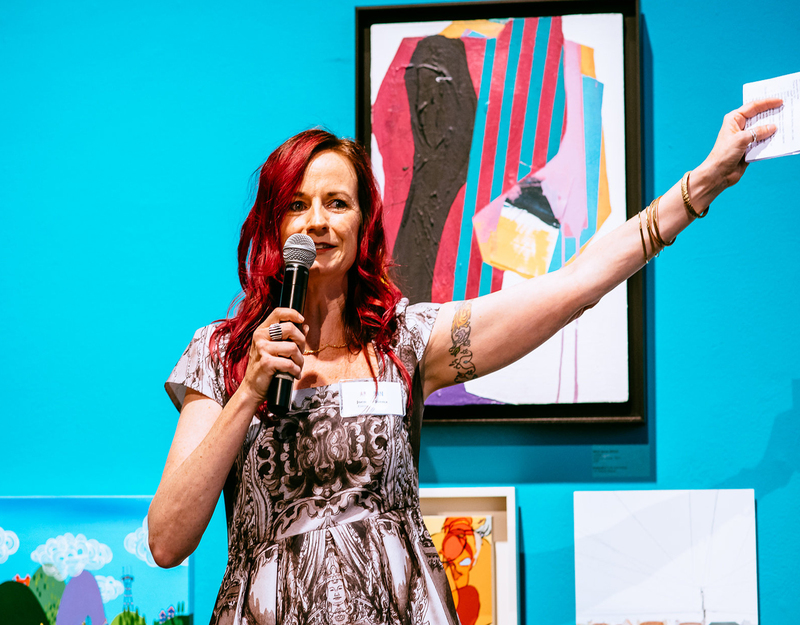 ArtSpan also has memberships where people can come and learn about buying and collecting work, and get complimentary tickets to our auction, gala, and to several other events throughout the year. Check our website to make plans to visit our upcoming events and exhibitions.